AT THE dawn of time Lord Vishnu made gods and demons join in churning the milky oceans to extract an elixir of eternal life. After cheating the demons of their share, Vishnu spilled four drops of the precious nectar. Where they fell sprang up sacred rivers whose waters wash away sins, now sites for mass Hindu pilgrimages called Kumbh Mela. For a lunar month every 12 years it falls to Ujjain, a town in the central Indian state of Madhya Pradesh, to host the Kumbh Mela by the revered Shipra, whose waters meander north into the mighty Ganges and eventually eastward to the Bay of Bengal. By the time the full moon reappears on May 21st tens of millions of bathers, among them thousands of bearded ascetics known as sadhus (pictured), will have worshipped on Ujjain’s teeming riverbanks. What few are aware of is that the water is no longer the Shipra’s. Urbanisation, rising demand and two years of severe drought have shrivelled the sacred river. Its natural state at this time of year, before the monsoon, would be a dismal sequence of puddles dirtied by industrial and human waste. But the government of Madhya Pradesh, determined to preserve the pilgrimage, has built a massive pipeline diverting into the Shipra the abundant waters of the Narmada river, which spills westward into the Arabian Sea. Giant pumps are sucking some 5,000 litres a second from a canal fed by the Narmada, lifting it by 350 metres and carrying it nearly 50 kilometres to pour into the Shipra’s headwaters. To ensure clean water for the festival, the Shipra’s smaller tributaries have been blocked or diverted, and purifying ozone is being injected into the reconstituted waters in Ujjain itself. The pilgrims and merchants of Ujjain are happy. But down in the Narmada valley there is little cheer. “They are wasting water on sadhus…while our farms go dry,” says Rameshwar Sitole, a farmer in the hamlet of Kithud. Since March the canal, which feeds his 2.5 hectares of maize and okra along with the farms of 12 other hamlets, has been bone dry. Mr Sitole’s crops have withered and died: a loss, he reckons, of some 50,000 rupees ($750). The government insists the water will return once Ujjain’s pilgrimage ends, but he is not so sure. “They turn it on when we protest, and then take it away again,” Mr Sitole shrugs. Meanwhile, over the hills, industrial users near Ujjain are lobbying loudly to exploit the fancy new water sources. Poor monsoons are not unusual, but the back-to-back shortfalls, linked to the El Niño effect, which India has experienced in the past two years are very rare. Ten out of 29 states, with a population of some 330m, have been badly hit, with the worst-affected areas in the centre of the country. India is suffering its gravest water shortage since independence, says Himanshu Thakkar, a water expert in Delhi, the capital. Every day brings news of exhausted rivers and wells, destitute farmers migrating to the cities or even committing suicide, water trains being dispatched to parched regions—and of leopards venturing into towns in search of a drink. The central government has responded with make-work programmes for afflicted areas, emergency shipments of water, and many promises. In February Narendra Modi, the prime minister, pledged to double farm incomes by 2022. Other ministers speak of massive irrigation projects, and have dusted off an ambitious water-diversion scheme for parched regions that is priced at $165 billion and involves no fewer than 37 links between rivers. Most links would be via canals—some 15,000km of artificial waterways in all. A river that flows through India, China, Bangladesh and Bhutan is churning up the issue of water security in a fast-developing region. 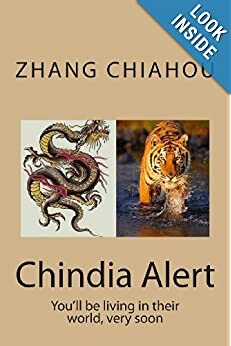 The river–which is called Brahmaputra in India–is a source of tension between India and China and how those two countries are managing it affects Bangladesh downstream, a new report by Washington-based nonprofit, CNA Analysis and Solutions says. 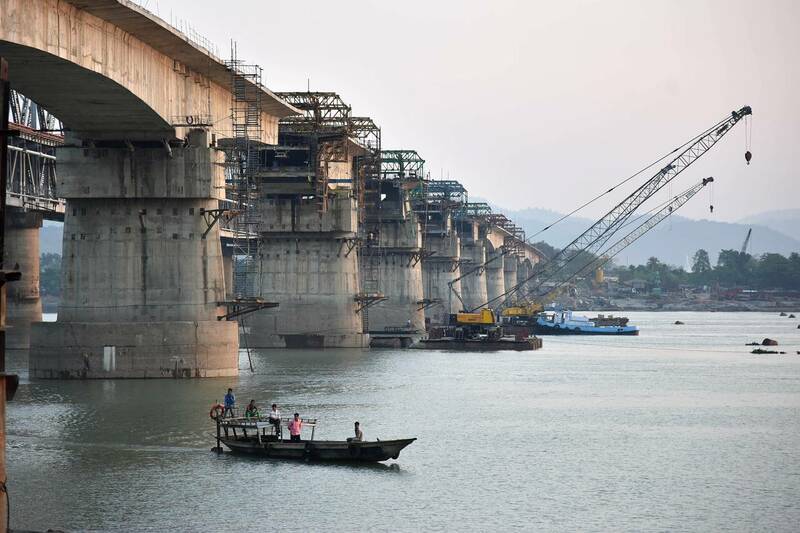 The report, titled “Water Resource Competition in the Brahmaputra River Basin: China, India, and Bangladesh,” recommends ways the countries can stop the issues from drifting out of control. Here’s a brief rundown of the report. The river originates in China, where it is known as the Yarlung Tsangpo. It then flows through India and Bangladesh, before entering the Bay of Bengal. Part of the river’s basin is also in Bhutan. In India, it runs through six states in the country’s east and northeast covering a distance of about 570 miles. In parts of India, it is also known as the Siang and in Bangladesh, as the Jamuna. The river’s basin covers 580,000 square kilometers (224,000 square miles) through the four countries. The World Bank estimates that India and China occupy 50% and 34% of that area. 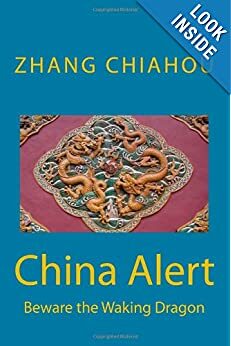 Why is the river important to China? The river is strategically important for China, mainly for its hydropower potential. The report said China has already built one hydropower dam on the river and plans to raise four more. China is worried about India’splans to build hydroelectric dams in the northeastern state of Arunachal Pradesh, whose border is disputed by both countries. China worries that plans to build on the river could “strengthen India’s ‘actual control’ over the disputed region and complicate border negotiations,” the report said. This could amplify tensions between India and China. For India the waterway is one of its seven major rivers and is of immense political significance, the report said. Upholding rights on the river isn’t only key to India to consolidate its existing control over land that is contested with China, but also to cater to its need to manage flooding and soil erosion in the country’s northeast. The report recommends an increase in sharing of hydrological data by India and China. China does so during the flood season and it should consider offering “real-time, year-round river flow data to India,” the report says. India should do the same. India should disclose how many dams it plans to build, the report said. It also recommends an annual three-nation dialogue with participation from university and think-tank scholars from India, China and Bangladesh to discuss not just diplomatic, but scientific aspects of water-sharing, like potential ways to mitigate the effects of climate change. Almost a quarter of purified drinking water tested by China’s top safety watchdog was substandard, with many products found to contain excessive levels of bacteria, the official Shanghai Daily newspaper said on Monday. The China Food and Drug Administration (CFDA) found excessive bacteria in purified water products from China’s biggest drinks maker, Wahaha Group, as well as C’estbon Beverage Co Ltd and Danone SA’s Robust brand, the newspaper said. 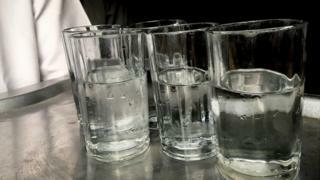 via Chinese tests find quarter of drinking water ‘substandard’: Shanghai Daily | Reuters. China’s hazardous smog is an in-your-face and choke-your-lungs kind of problem—hard to miss, particularly when air quality soars to severely polluted levels, as it did in Beijing today (Nov.19). But an equally dire environmental threat is the alarmingly low quality of China’s water resources. That was highlighted in an investigative report on China’s water crisis in the official Xinhua News Agency yesterday. Sixty percent of China’s groundwater, monitored at 4,778 sites across the country, is either “bad” or “very bad,” according to a survey by the Ministry of Environmental Protection, Xinhua reported. Meanwhile, more than half, or 17 of China’s 31 major freshwater lakes, are polluted, at least slightly or moderately. With rapid urbanization an official economic priority, fears are that China’s crisis of degraded and inadequate water supplies could worsen. Meanwhile, about 3.3 million hectares of farmland—an area the size of Belgium—has become too contaminated to grow crops, China’s authorities revealed late last year. “Experts blamed some local governments and businesses for recklessly pursuing quick money by developing projects that devoured resources and caused serious pollution,” the China Daily reported today, citing the Xinhua article on water scarcity. via China’s Water Supply Is Contaminated and Shrinking – Businessweek. China’s track record for forced relocations that accompany large infrastructure projects is dismal. Many of the 1.3 million people relocated during the construction of Three Gorges Dam in the 1990s and early 2000s were moved from ancestral villages and farmland, where they could profitably grow crops, to newly (often shoddily) built apartments, with no job training or employment help. The result: vanished earnings and increased social dislocation. So far, it appears that the relocation of more than 330,000 people during the ongoing construction of the South-to-North Water Transfer Project is somewhat better planned, although still deeply flawed. Beijing News looked at the fate of approximately 70,000 people relocated from homes in Hubei Province for the construction of the middle leg of the project, which aims to redirect water from China’s lush south to its arid north. The local government seems to be more aware of the importance of protecting migrants’ livelihoods, but that awareness hasn’t yielded simple solutions. “It isn’t easy to tell people they must leave their homes,” Gufang Yan, a staffer at the Nanzhang Bureau of Immigration, told the newspaper. “Nobody gave us information about how to find a job; we did not know anything about recruitment,” said a man named Chen Yan, who was relocated for the project four years ago. He eventually managed to find work near his new home repairing cars, and he learned on the job. 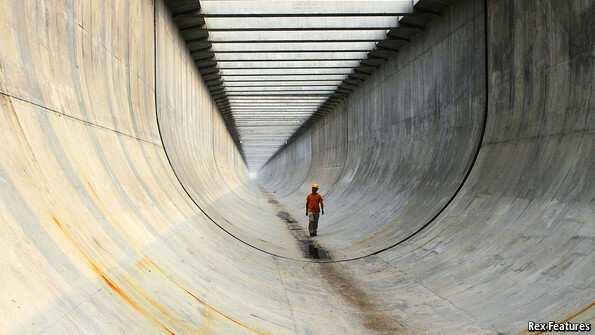 via China’s Next Great Water Project Uproots More Than 330,000 – Businessweek.